Azerbaijani and Persian-language poet best known for her relationship-themed ghazals. She is widely regarded as one of the most important lyrical poets in Azerbaijani history. Before becoming a respected poet, she worked as a philanthropist and social reformer. She raised and popularized the Karabakh breed of horses. She was the only child of Mehdigulu Khan; Khan was the final ruler of the Karabakh Khanate. 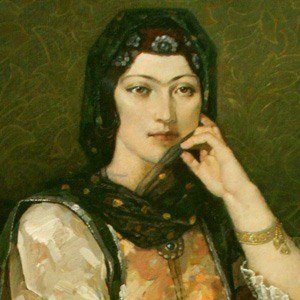 She and Mirza Babayev were two of the most famous Azerbaijani poets (active in the nineteenth and twentieth centuries, respectively).